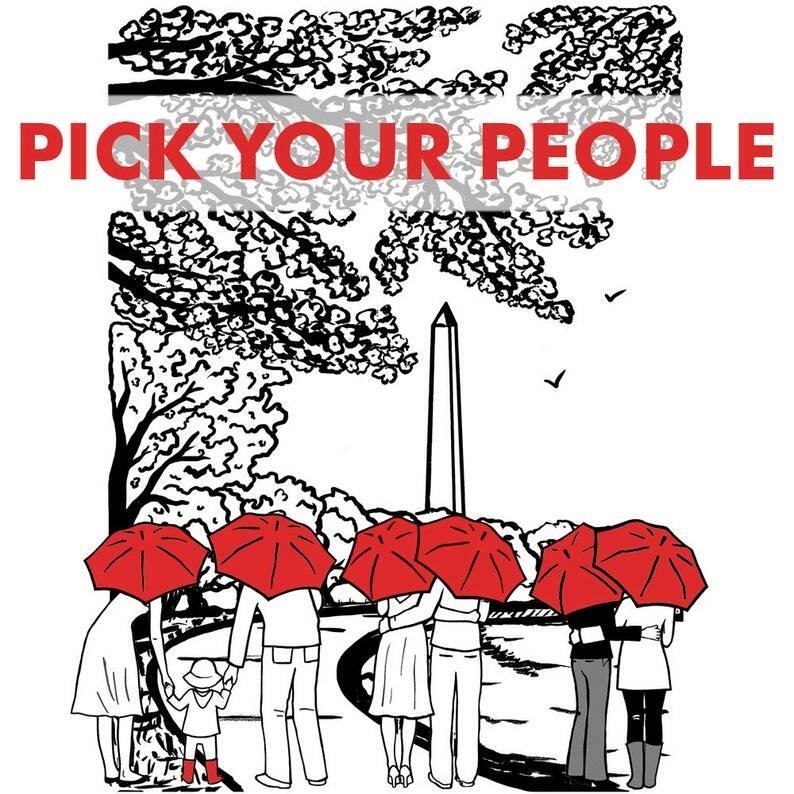 This giclée print features DC's Washington Monument, seen from the Tidal Basin under cherry trees, with your choice of people as the subjects. There are lots of different types of love in the world, and this option lets you celebrate more of them! Perfect as a gift for weddings, engagements, anniversaries, roommates, friends, same gender couples, and families. Here's how: First, check out the third listing photo above for the umbrella color options, and choose your color from the "Umbrella Color" drop down box on the right. Then, check out the fourth photo for the subject options. Note the corresponding letter. Then, choose the letter that corresponds to your choice of subjects from the "People" drop down box, and add it to your cart. A giclée print is a fine art print made with a high-end inkjet printer using archival ink. This one is printed on 5x7 inch Epson premium matte paper (please note, this is not the same paper as the Gocco prints are printed on) and signed in pencil. Giving as a gift to my husband! It will go perfect with the other ArtShark prints we own!! Great job. It is gorgeous.